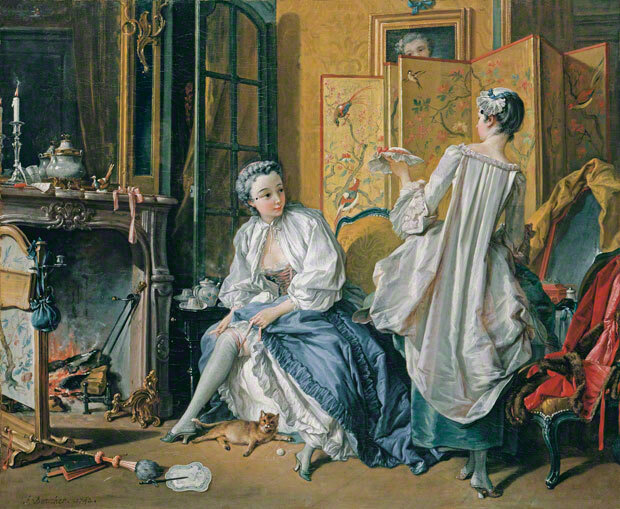 Fires have always been a hazard, especially when flames are situated alarmingly close to one’s bed (not to mention the poor cat who really ought to know better). 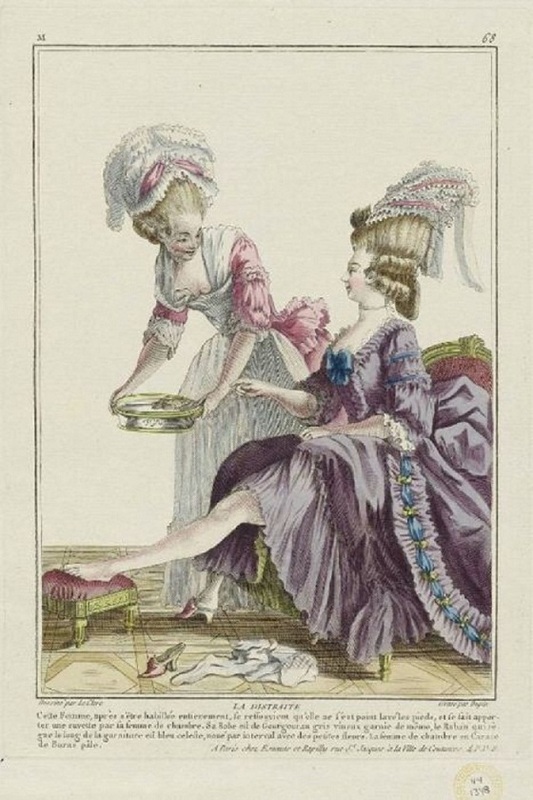 I’ve come across a number of these prints, and the theme of foolish ladies seems to be a favorite–I’ve yet to see a gentleman scorched, but here’s to hoping. 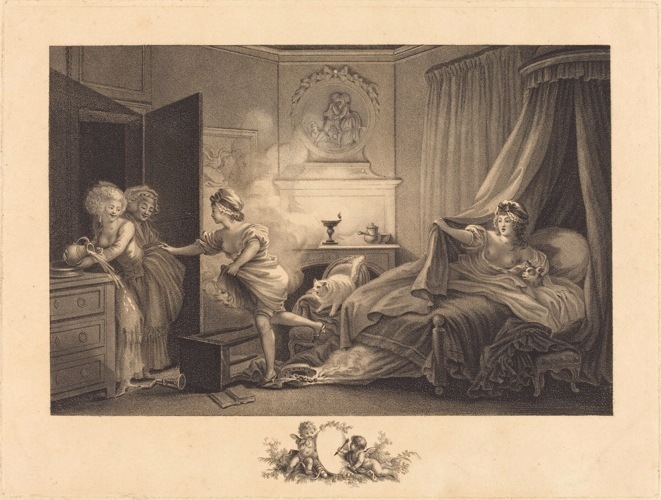 In this 1789 print, Fragonard’s unfortunate miss has found her bottom smoking in the middle of the night and her lady friends don’t seem much help. Apart from the bosomy lady in bed, the ladies appear amused. Rather than pouring a pitcher of water on the lady, it’s gone splashing on the floor. Oh, dear. That might leave a mark. Prior to the middle of the 19th century chimney sweepers were boys small enough to climb up flues. Life was predictably harsh for these young workers: lungs clogged with soot, eyes burning, and fires lit beneath them to encourage efficient cleaning. Say what? The expression “Light a fire under you” apparently hails from this experience of kids scuttling up chimneys in fear of being roasted alive. Because children were frightened of climbing into cramped, dirty spaces, their soot bags and brushes dangling from their wrists, their masters would light a fire beneath them. When a chimney sweeper’s head popped out the chimney top, the fireplace was considered cleaned. Even after the job was done, chimney sweepers lived in cruel quarters. After being sold as indentured servants, their masters were responsible for housing and food but as was often the case, chimney sweepers begged for rations. Their soot bag performed double duty as a nighttime blanket, and the children suffered from severe neglect until their health gave out and a new chimney sweep replaced them. The famous mystic and 19th century poet William Blake wrote a touching poem entitled The Chimney Sweeper several years after the 18th century invention of extendable brushes. Use of children wasn’t outlawed until the 1864 Act of Regulation for Chimney Sweepers, but this didn’t prevent artists from portraying children as tragically romantic figures. 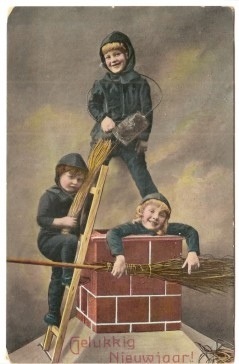 A1930s new year’s postcard shows the most historically ludicrous scene with children tumbling over the top of a chimney, smiling and laughing as if they are busy at play–a luxury chimney sweepers never had. Joseph Addison founded The Spectator with his chum Richard Steele in 1711 for the promotion of wit and Enlightenment morality, as well as to amuse with anecdotes of fashionable London society. 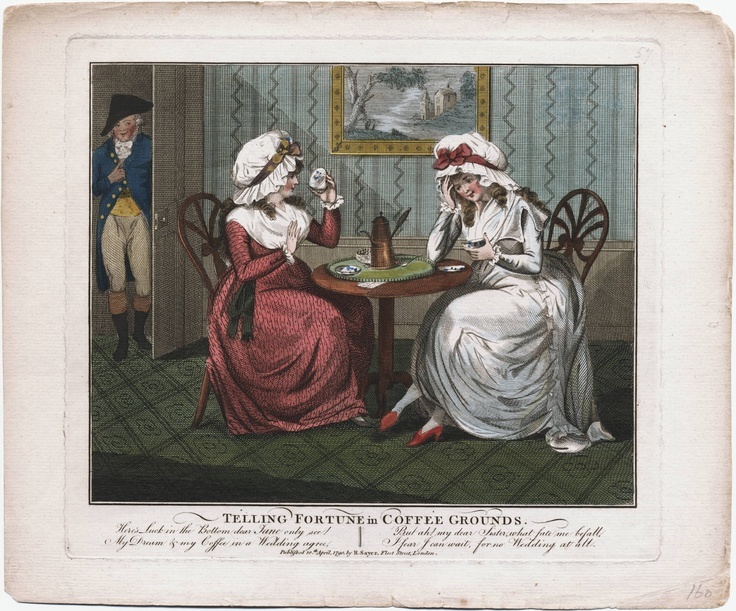 Purposed as a light education over tea or chocolate, it was read by over 60,000 as private subscribers or patrons of coffee houses, and was marketed to members of the rising middle class. 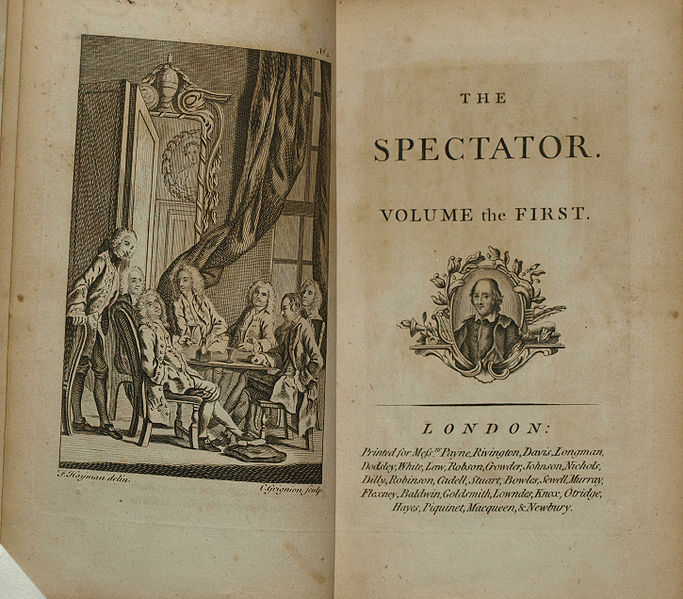 The fictional Mr. Spectator, a perspicacious observer and upright gossip, if you will, swore it his duty to relate weekly modes of society and celebrity. 555 papers were eventually printed and collected into seven volumes, and though The Spectator was defunct by the end of 1712, it experienced a revival in 1714 when a number of print runs were collected for an eighth volume. From a 1788 edition, a testament to its longevity which would last in reprints throughout the 19th century. The eight volumes can easily found online on gutenberg and google books. ‘ . . . I could not but take notice of two parties of very fine women, that had placed themselves in the opposite side boxes, and seemed drawn up in a kind of battle array one against another! After a short survey of them, I found they were patched differently; the faces, on one had, being spotted on the right side of the forehead, and those upon the other on the left: I quickly perceived that they cast hostile glances upon one another, and that their patches were placed in these different situations, as party signals to disguise friends from foes. In the middle boxes, between these two opposite bodies, were several ladies who patched indifferently on both sides of their faces, and seemed to sit there with no other intention but to see the opera. Upon inquiry, I found that the body of Amazons on my right hand were Whigs and those on my left Tories, and that those who had placed themselves in the middle boxes were a neutral party, whose faces had not yet declared themselves. 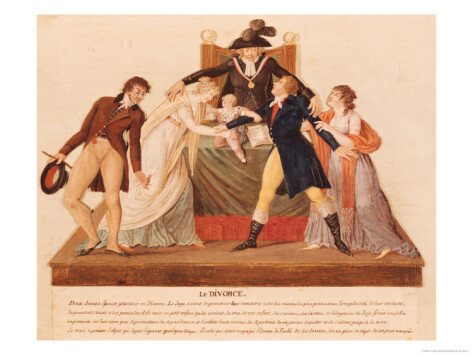 These last, however, as I afterwards found, diminished daily, and took their party with one side or the other; insomuch that I observed in several of them, the patches, which were before dispersed equally, are now all gone to the Whig or Tory side of the face. 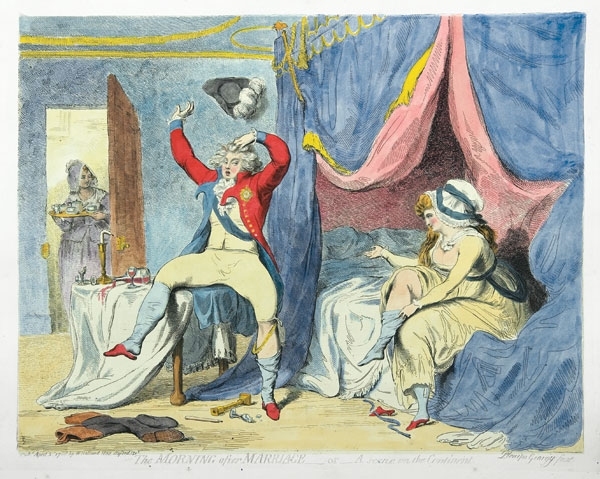 The censorious say, that the men whose hearts are aimed at, are very often the occasion that one part of the face is thus dishonoured, and lies under a kind of disgrace, while the other is so much set off and adorned by the owner; and that the patches turn to the right or to the left, according to the principles of the man who is most in favour. You can read more of Addison’s reflections on patches in No. 81 where he goes on to discuss a famously beautiful Whig partisan who had the misfortune of a prominent mole on the Tory side of her face, an unexpected matronly zeal for patches, and patch wars. If you enjoyed this post, why not subscribe to my blog? Follow by email and get Lemons in your inbox as soon as they arrive! You’ll find the sign up box is in the upper right hand sidebar of every post. 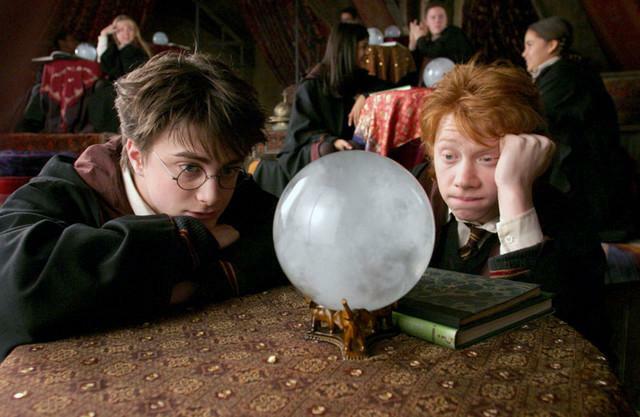 “The number of new gaming houses established at the West End of the town is indeed a matter of very serious evil, but they are not likely to decrease while examples of the same nature are held forth in the higher circles of life. It is needless to point out any one of these houses in particular; it is sufficient for us to expose the tricks that are practised at many of them to swindle the unsuspecting young men of fortune who are entrapped into these whirlpools of destruction The first thing necessary is to give the guests a good dinner and plenty of wine, which many of these houses do gratis. 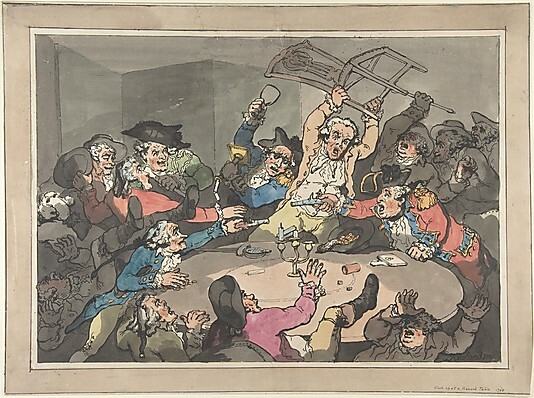 When they are sufficiently intoxicated and having lost all the money about them, their acceptance is obtained to Bills of Exchange to a considerable amount, which frequently are paid to avoid the disagreeable circumstance of a public exposition in a Court of Justice, which is always threatened though the gamesters well know that no such measure durst be adopted by them. “May Fair, upon the authority of a tract that will be named presently ‘was granted by King James II under the great seal, in the fourth year of his reign, to Sir John Coell and his heirs for ever, in trust for the Right Honourable Henry Lord Dover and his heirs for ever; to be held in the field called Brookfield, in the parish of St. Martin’s, Westminster, to commence on the first day of May, and continue fifteen days after it yearly for ever, for the sale of all manner of goods and merchandise.” Gentleman’s Magazine, 1816. 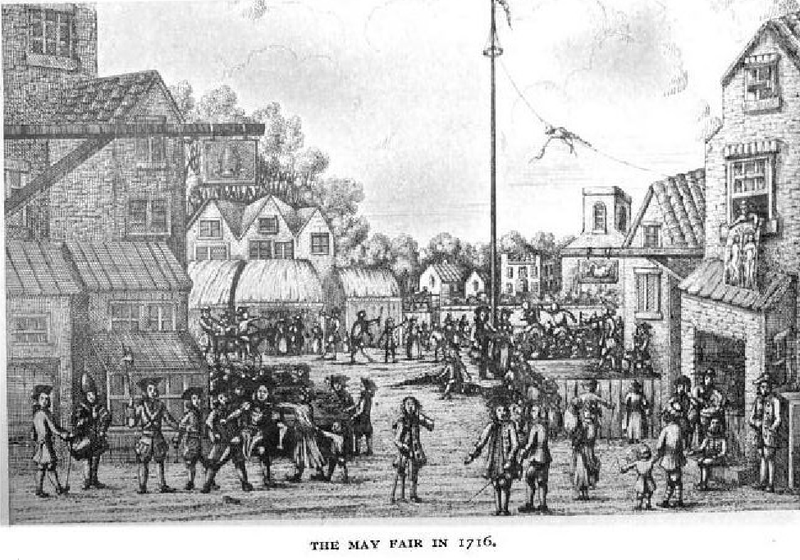 ‘May Fair’ may have started out as a venue for cattle and other live trade in 1688, but soon enough the market diverged into an all out celebration of amusement and vice. By the dawn of the 18th century, pickpockets and rogues were heading to the fair in droves. The year 1700 brought such a disorderly crowd that the magistrates present were forced to send for the constables. Their mission was to subdue the charlatans and thieves who went to prey on the merry and the drunk, but chaos erupted instead. John Cooper, a peace officer, was accidentally killed when soldiers joined in the throng, and as a result May Fair’s reputation stumbled. The people, however, loved their yearly May outing. By 1707, after attracting the nobility and gentry (including the Lady Mary Finley as the must-see rope dancer) the fair was all the rage. Everywhere one looked May Fair was bursting with revelry. Here and there were Indian rope dancers and buffoons, puppet shows and music shows, stage plays and tricksters. For those loose with their pockets, gaming, raffling, and lotteries served up yet another diversion. In 1708 the right to hold the fair was openly attacked. The throng and ongoing unsavory behavior were declared a public nuisance. 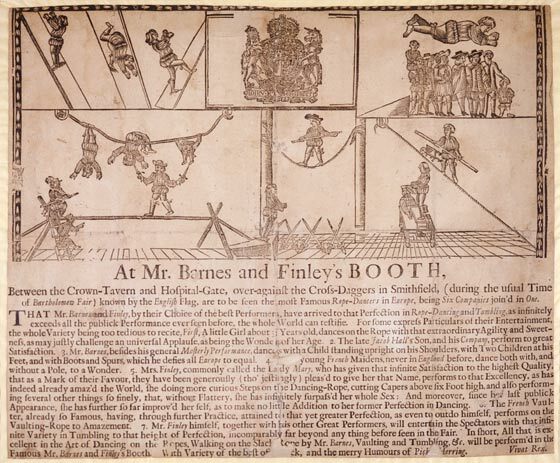 Come April of 1709, Queen Anne issued a Royal Proclamation prohibiting the erecting or making of stalls or booths for stage and music plays, along with any activity deemed disorderly. May Fair! What a name for the core of dissipated and exclusive London! A name that brings with it only the scent of crushed flowers in a green field, of a pole wreathed in roses, booths crowded with dancing peasant girls, and nature in its holyday. This—to express the costly, the court-like, the so called ‘heartless’ precinct of fashion and art in their most authentic and envied perfect. Mais les extremes se touchent; and perhaps there is more nature in May Fair than in Rose Cottage or Honeysuckle lodge. 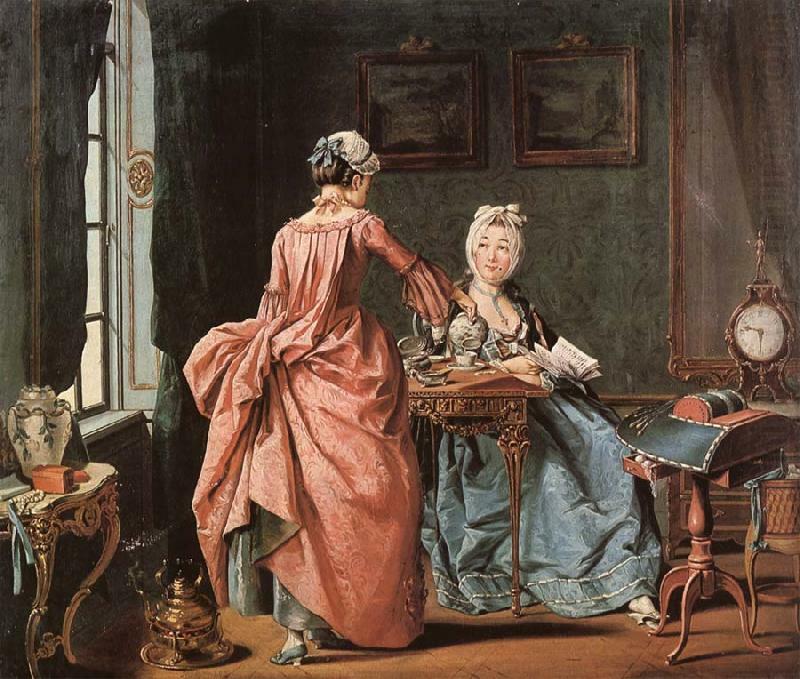 A lady’s maid’s day, unlike that of her peers, starts as soon as her mistress wakes. The hour is variable, depending on the individual mistress and whether the household resides in the city or the country, but generally, a lady’s maid begins her official work later than the rest of the servants. Attending to her mistress’s person comprises the first task of the morning. After ablutions are taken care of and her mistress’s hair and body are dressed, a lady’s maid is responsible for tidying her mistress’s rooms. This may not be the case with experienced ladies’ maids, but in households where there are few servants or a lady’s maid is relatively new, learning the finer details of upkeep are an important part of her position. 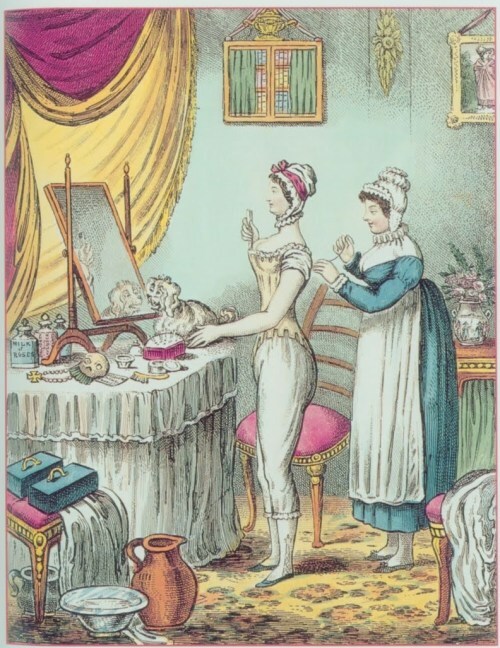 Even after a lady’s maid has graduated from general housemaid duty, washing hair combs, removing stains from soiled garments, and starching muslins number among the many exigencies of personal attendance that must be addressed on a regular basis. 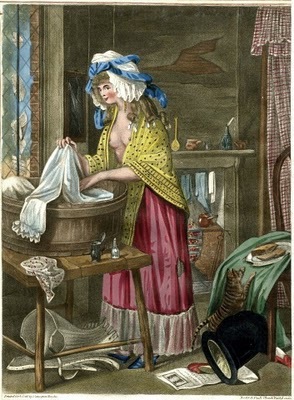 In households where maids are numerous, it may seem weird for a lady’s maid to act the part of a housemaid. It’s really not. The primary reason is to ensure her mistress’s privacy in both everyday situations and in rarer occasions when the mistress falls ill. Although chambermaids and maids of all work will by necessity enter the mistress’s rooms, it is best to keep these visits limited. All work in the rooms must be done out of the mistress’s sight. Timing, therefore, is absolutely essential. As soon as the mistress departs her rooms in the morning, a lady’s maid tidies and refreshes all belongings and articles under her care. In a time before central air, a shut-up room would go stale throughout the night. A good airing, therefore, is the first order of duty. Windows are thrown open, bed curtains drawn apart. Any clothes that remain out of closet are put away in the dressing room. The accessories associated with ablutions must also be put to rights. As neatness is a lady’s maid’s prerogative, dust and grime are directly under her purview. Not even a loose thread on the carpet is tolerated by a meticulous lady’s maid. The general notion here is to return the room to its original state—as if nobody had touched anything. Wash basins, glasses, and water jugs must be cleaned of soap scum and fingerprints. To keep up with the steady decline of cleanliness in the room, a strict schedule of supplying fresh water and changing towels is encouraged. After the mistress’s rooms are picked up and dusted, the thread and needle work begins. Plain work (darning stockings, mending linens) occupies a large deal of this time. Exactly how much is determined by the amount and state of garments in the laundry. Before the laundry goes out to the washerwoman, it’s the lady’s maid’s job to sort through the dirty pile to determine what needs mending or what items are beyond repair. As a sartorial accountant of sorts, it’s important for a lady’s maid to maintain an inventory of her mistress’s wardrobe from the start of her employment. Any time a garment leaves the room for the purposes of laundering, she is expected to write up a bill of any costs associated with the garment’s upkeep. 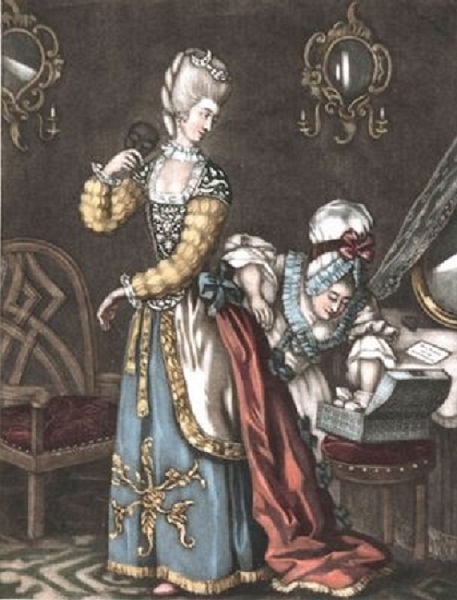 Considering the number of times a mistress changes her outfit in a single day, preventing theft and accounting for misplaced or missing items in the wardrobe is necessary if a lady’s maid is inclined to keep her post. Since she stands to benefit from her mistress’s cast-offs (as she will likely receive them), a wise lady’s maid serves as steward of her mistress’s belongings and keeps a hawk’s eye on anything that leaves the room. With these parameters set, a lady’s maid has the discretion to do with her mistress’s unwanted garments as she sees fit. Charity is always encouraged. In those days, linen was the only suitable fabric for dressing wounds. As such, old scraps were in high demand in hospitals. The poor were also endlessly in need of clothing and a lady’s maid could do much good by donating items to the impoverished. I touched on this in the last post, but it’s worth noting that a lady’s maid enjoys more freedom than the average domestic. Once her day’s work is complete, she has leave to improve her mind by reading. 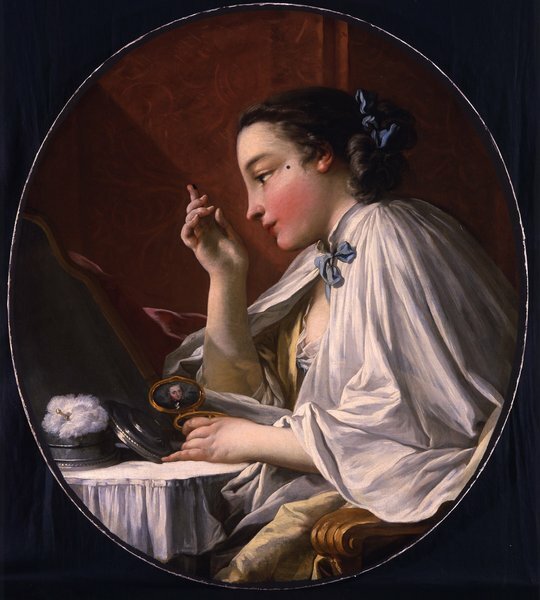 Along with other activities such as sewing, her evening hours are largely devoted to leisure. This is both a blessing and a curse. 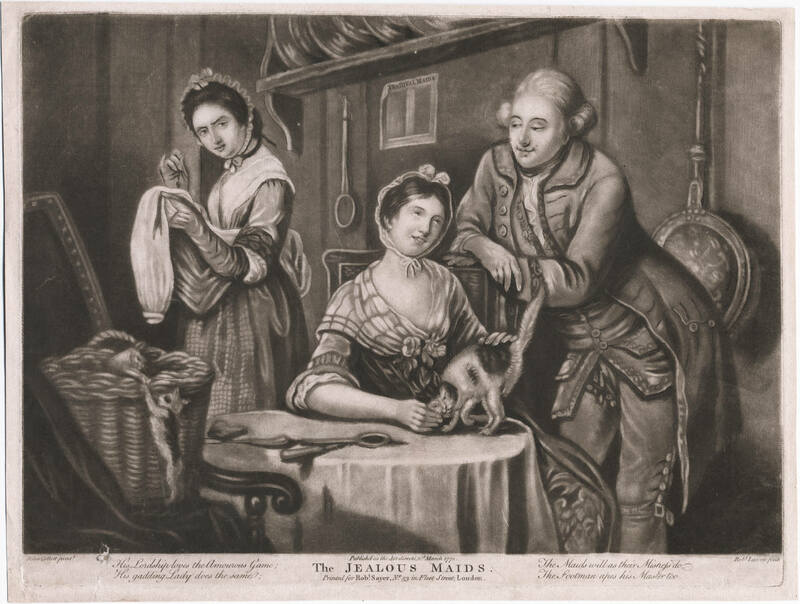 Because ladies’ maids experience privileges denied other domestics and they appear to have the ear of their mistress, they were often subject to jealousy from their peers. Another downside of the position is that ladies’ maids seem to have more down time than the rest of the household. In reality, they are at the beck and call of mistresses who keep late hours. Suffice it to say, a lady’s maid does not sleep until her mistress does. The life of a lady’s maid, then, revolves around the schedule, temperament, and demands of her mistress. Her happiness, too, but judging by the quantity of complaints surrounding the position, that would require an altogether separate post by yours truly. We know this was not always the case—it never is where discretion is required—but given the high turnover rate of domestics, we can imagine that staying mum was not always top priority. The memoir The Lady’s Maid: My Life in Service by Rosina Harrison, Lady Astor’s lady’s maid, is not a tell-all, but neither is it a wholly flattering account of the position. The memoir tells it like it is: being a servant is a whole lot more complex than one might presume. As the most senior female domestic, a lady’s maid is below only that of nursemaids, and this, I gather, is debatable. 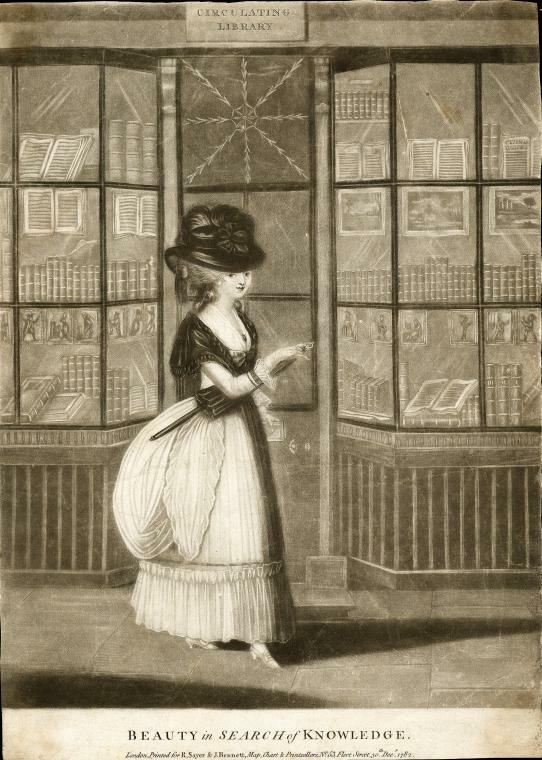 Compared with the household maids who serve the family at large, she is paid well, performs the lightest work, and is usually allowed access to the library. In addition, she is the primary witness to her lady’s daily well-being, maintaining a uniquely confidential position similar to a gentleman’s valet. Sounds like a catch 22, doesn’t it? As they say, however, silence is golden. 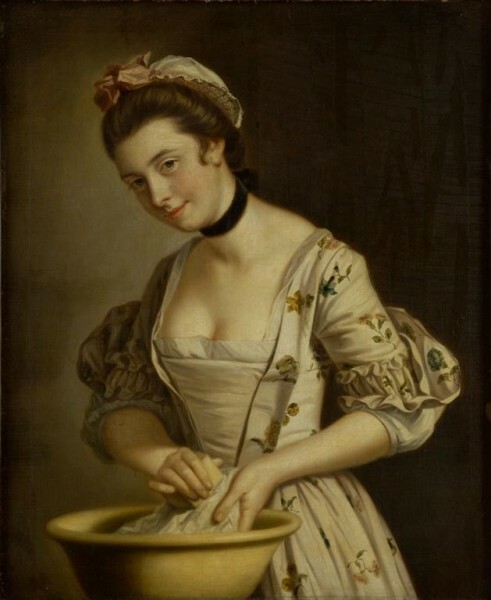 The best lady’s maid stuck to this maxim, avoided idle gossip, and used her relatively high positions in the household to reign over the lower servants with kindess and grace. To what exten this paragon actually existed, only history can tell.